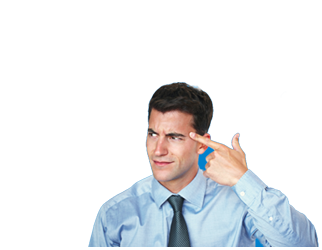 I’m sure you’ll agree having a clean image for your business is important in 2017, and rising energy prices have always been a headache on your balance sheet? There is one easy way to stop rising energy costs and insulate your company from guaranteed energy increases for the next 25 years with solar panels. You can view ball-park costs for all system sizes which I’ll show in you just a second, here are a few key facts first. Although there is no average size commercial solar system, prices start from £4000 + VAT for a 4kW setup made up of 16 panels & grid connection. Adding a Tesla battery storage system will store excess energy during the day when grid costs are higher, for use on-demand later in the day or night. Commercial solar battery storage can range up to 10MW (10,000kW). Which can help to power small towns during high burst periods. Government subsidy is lower for commercial installations, but ROI can still be strong due to the availability larger more efficient systems. Ready to compare the top commercial solar quotes in your area? Click here to get prices now! 4Kw solar panel systems are small, and suitable for either small commercial rooftops or domestic ones. While small, 4Kw panels can still generate a lot of energy and typically pay themselves off within 14 years. 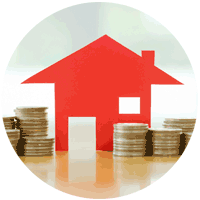 Depending on your EPC rating, you might earn more or less money from your panels, but the better your EPC, the more you will earn. If you live on the coast, you will likely pay your panels off a bit sooner, but if you live in the northeast, you might be looking at ten years to break even. 10Kw solar panel systems are a bit bigger and more popular for most commercial installations because they generate more PV power. However, they do take up a great deal more space. 40 solar panels (10kW), inverter, installation, grid connection, 25-year warranty. 25Kw solar panel systems require more roof space, but they generate considerably more power, and pay themselves off more quickly. These commercial solar panel installations are a best fit if you have a great deal of roof space. 100 solar panels (25kW), inverter, installation, grid connection, 25-year warranty. 50Kw systems qualify for a lower Feed in Tariff rate, but due to their size, still pay themselves off fairly quickly. Because they generate a great deal of PV power, 50Kw systems can also save small to medium businesses a great deal on energy bills, and can replace significantly more than the average of 20% of energy usage. 200 solar panels (50kW), inverter, installation, grid connection, 25-year warranty. Very large commercial solar panel installations of 100Kw and higher can vary a great deal in price depending on the exact size of the system, and the Feed in Tariff rate drops again. These systems are also extremely large and can contain several hundred panels. 400 solar panels (100kW), inverter, installation, grid connection, 25-year warranty. Ready to get accurate commercial solar costs? Click below and fill in the fast form for a detailed quote! The UK is home to over 4.9 million private sector businesses, who collectively own more than a quarter million hectares of south facing rooftops. While commercial solar panels are not as popular in the UK as they are in continental Europe, where commercial rooftop panels make up 1/3rd of all solar installations, they do represent a huge opportunity for businesses who want to provide some of their own energy with PV power. Many companies in the UK have already taken steps to install renewables like solar panels on their rooftops and property, so that they can reduce their carbon footprint, save on energy, benefit from the Feed in Tariff, and benefit the ecology with eco friendly power. If you’re trying to decide whether commercial solar panels are right for your business, the following information should help with your decision. How Can Solar Benefit Your Business? Environmentally Friendly – Cutting down on fuel and coal based electricity usage by providing some of your own power with solar means cutting your carbon footprint. Some companies provide 20% or more of their own power with solar, which can help a great deal in terms of your carbon footprint. A rough comparison could place the carbon footprint of solar (including the production of the solar panels, installation, mining materials, etc.) at some 1/10th of that of fossil fuels or coal. Even with a small solar panel system producing under 4kw, you could still save over 40 tonnes of co2 emissions over 25 years. Budget Friendly – The costs of solar installations for businesses have dropped by more than 70% in the last ten years. In addition, feed in tariffs, lowered energy bills, and low maintenance solar panels mean that you can actually save money. Reducing energy bills with solar won’t pay the installation off for a few years, but, combined with feed in tariffs, it will pay itself off so you can start saving. Good Business – Eco Friendly and green energy initiatives are good for the planet, so they make your business look good to consumers. In fact, many businesses use a reduced carbon footprint as part of their ad campaign. Installations are Fully Customisable – Setting up photovoltaic panels on your rooftop doesn’t have to mean installing a huge system. Commercial solar panels start with 4kw systems, and go all the way up to 50kw and higher, allowing you to spend as much as you want to produce the amount of power you want. 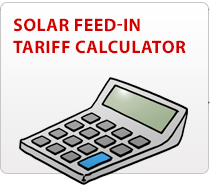 How the Feed in Tariff Benefits You? Generation Tariff – This varies based on your photovoltaic energy capacity or generation. You are paid per KW hour you generate, with a rate set based on when you register and the size of your rooftop installation. Rates are guaranteed for 20 years once you register. The rates as of March 2016 range from 0.8 to 4.39 pence per kWh depending on the size of your system. Export Tariff – If your solar company does not use your generated energy, they pay you 4.85 pence per kw hour as of March 2016 to compensate for exporting the power. Stand Alone – For solar panel installations that are independent of the power grid, you can receive a 6.16ppkw feed in tariff rate for surplus power. Because you also save money by reducing your energy bill, you can actually save a great deal with these combined tariffs. One example is Big Yellow, who installed 15 solar PV roof systems in 2007, when prices were still high. By 2014, they were providing more than 20% of their own power with solar, and according to their CSR manager, Paul Donnelly, are now actually making money off of their solar rooftops. Choosing to install commercial solar panels on a rooftop, factory, or warehouse means choosing the right size of installation, choosing the right location, and considering an installation company. Ideally, a south facing rooftop, exposed to a great deal of sun, or a minimum of a few hours of direct sunlight per day, is ideal. The more sunlight, the more energy the panels will collect. However, some solar panels collect energy from diffuse light, so you don’t necessarily need a very sunny rooftop. Systems range in size from less than 4KW(very small) to upwards of 250kw (very large). The size of the installation affects your initial costs, the number of panels you need, your feed in tariff rates, and of course, the renewable power you generate. Small – A small pv panel system is usually 10kw or less, and usually suitable for small businesses. Most residences choose solar panel systems of this size. This size generates the highest generation tariff rate at up to 4.39 pence per kw hour as of June 2016 but provides the least energy. Medium – A 10-50kw system is a medium size, and suitable for many types of businesses. Feed in Tarrif rates are lower than that of a small system, but with more energy generated, you have more capacity for earning. Systems also cost more, and do require more solar panels. Large – A large commercial solar panel system can be anywhere from 50kw to upwards of 250kw, allowing you to provide as much energy as you like. While this type of system allows you to replace a great deal of your electricity with renewables, it does require a great deal of rooftop space, and a large initial installation budget. Depending on your lightsource, the direction of your roof, your budget, and what you expect from your solar panels, installing them may or may not be right for you. If your primary goal is to replace some of your own power with renewable energy to benefit the environment, than solar panels are an excellent option. A solar panel installation can take 15-25 years to pay for itself. Solar panels typically last up to 30-50 years, and will continue to provide returns for that period. With low maintenance, once you pay them off, they will continue to provide power until you replace them. The best way to choose the size of your commercial solar panel installation is to have an expert look at your available rooftops and make a recommendation. You can use our solar panel calculator to see how much it will cost for your solar panels, how much you can save, and to help you find a local, certified solar installation company. The average Solar Compared user saves as much as 47%, plus time and energy looking for the right solar company, and we offer quick results, so you can get back to your business. Ready for accurate prices? Click here to compare quotes now.